GIVEN our fondness for all things Chinese, allow me to introduce the term ‘tie fan wan’. 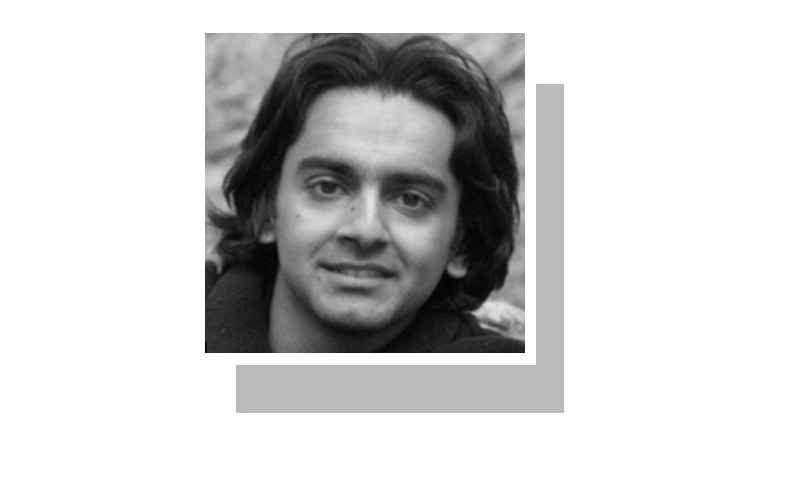 Literally meaning ‘iron rice bowl’, the term refers to an occupation with guaranteed job security, a steady income and benefits — much like the term ‘sarkari naukri’ here in Pakistan. “My boss travelled to four countries, carrying my ACR [annual confidential report] documents with him, but did not bother to fill them. We should have received the ACRs of 847 officers from the Pakistan Administrative Services group by Dec 31, 2016, but so far only 247 have been received.” This is not my statement, as I long ago bid adieu to such bosses and such a system. This is what the additional secretary, Establishment Division, had to say to a subcommittee of the Senate Standing Committee on Law and Justice, which has undertaken deliberation on the criteria for evaluating the performance of civil servants. Here, I want to remind everyone reading this that we are living in 2018, in an era when someone does not even have to carry around hard-copy documents as soft copies can reside on a storage cloud and be accessed even from Mars, provided one has the correct username and password. But not only have we missed the bus in terms of e-governance, we are also adamant to run after the bus only to throw ourselves under it. An honest appraisal of civil servants means breaking the mould. Back to topic, a couple of interesting developments took place in the last few weeks regarding the evaluation criteria for the promotion of civil servants. First, the subcommittee asked the Establishment Division to suggest better ways to evaluate civil servants for promotion. Second — and this might not even be in the knowledge of the committee — the Establishment Division recently changed the weightage of different parameters considered by the Central Selection Board (CSB) for promotion of civil servants through an office memorandum last month. The devil is in the details — so here they are. The Performance Evaluation Reports (PERs) now have less weightage, dropping from 70 per cent to 50pc. The weightage of Training Evaluation Reports (TERs) has increased from 15pc to 35pc, and the discretionary 15pc with the members of the CSB remains unchanged. What this means is that the Establishment Division has admitted tacitly that the PERs are not up to the mark, but at the same time, has ironically suggested that the TERs are the correct measure of the competency of an officer. This, however, is quite far from the truth. Firstly, the content of the training that is imparted to civil servants has very little relevance to their job. Secondly, most trainers are civil servants from various occupational groups, which means that they come from the same lot of civil servants who write the PERs of their subordinates while serving in the field. How is it possible that these civil servants in the capacity of trainers would write objective TERs when, by the Establishment Division’s own admission, they failed to do the same for PERs? Further, the 15 discretionary marks with the members of the CSB have been left unchanged in the new policy, even though there have been cases in the past when these marks were awarded based on personal likes, dislikes and group camaraderie rather than on merit. This is why every CSB meeting is followed by a round of litigation. Instead of curtailing discretionary powers, the new policy has further increased them. For example, the heads of all training institutions are always from a certain occupational group, and that occupational group therefore holds sway over others. The discretionary powers of individuals (be it members of the CSB or trainers) have been increased, even though the standing committee is pushing for the opposite. The solution resides in making the PERs electronic, objective about performance rather than generic in nature and, last but not least, honest in assessment. The fact that there is hardly ever a PER that rates an officer as average or below average is enough to expose its lack of credibility. If our most senior civil servants do not have the spine to be honest to their juniors, how can they be expected to be honest to their work? It also reflects on how miserably trainings imparted to our civil servants fail to inculcate leadership attributes in them. Asking the Establishment Division to come up with a better evaluation criterion would achieve next to nothing. The division is formed of the same civil servants who do not want to break their iron rice bowl, so they would never recommend anything that pushes them or any of their comrades out of their comfort zone. We must replace this iron bowl with a finely made glass bowl, which breaks at the slightest hint of negligence. Syed Saadat is right and this article needs the attention of the Senate Committee.Objetive PERs are a rarity.The result is downward slide in the performance of the civil services , so evident to all except the CSB . Boss management and Cronyism is the way towards promotion . writer saying right and pointed our reality but amendment in PER seems difficult as CSP is responsible to CSP and they always save to each other from the wrath of state action, there is no expection of change seems in the system unless honest rulers comes to rule. Saadat's one man crusade to reform the Civil Service is appreciated.I have following to offer:- a.Civil Service has completely failed us. The element of Serving the Public is missing from their approach. b.Corruption/Contacts takes precedence over service to the Public. I think even the Induction system is outdated.How can you have the same criteria for Foreign Service/DMG/Police/Revenue? This is the age of specialization.For foreign Service you should have people qualified in International relations, for Police you need people qualified in Criminology , physical fitness,for DMG you may need people qualified in Public Policy, for revenue economics/business studies, etc.Zero tolerance for Corruption. Valid and sensible suggestion from Syed Syadaat. Evaluation Systems are a failure & not just in Pakistan. Reason? It’s a human nature to be ‘nice’. Effective Evaluation systems are to be “objective” and feedback has to be provided on a “timely basis” so that the person can work upon his/her shortcomings in a real time manner and held accountable if h/she is not able to do that at the evaluation time. But…. Doesn’t happen anywhere. People are too timid to tell others that they are not doing their job. A solution could be to do away with performance evaluation system and come up with a work plan system. A department for instance should have a work plan and a department’s manager should be the ‘owner’ of that work plan. Everyone working in that ‘department’ should have their own ‘work plan’ which basically should have their objective deliverables. A minor % can be allocated to behavioral aspects and some to trainings directly linked to deliverables and were completed. Discretionary awards of points should be discontinued altogether. I am an ex-DMG who resigned very early. Pains me as it does, I can assure you that nothing is going to change. Any civil service reforms will be cosmetic. The reason is simple. The current politicised corrupt system with blockage of information to general public suits the rulers (both political and military). Period. DMG and Police, in particular, are the rulers’ “arms” for discretionary spending of funds, monopolising selective implementation/bypassing of laws and providing VIP protocols. If somebody can do the listed three, he/she amply qualifies to be the next bigwig among his/her peers. We are still ruled by the post-mutiny 1861 civil service/police laws with lame local governments and no discourse around this atrocity against the hapless public.